From the Sandwich Tern to the Short-toed Eagle, discover over 300 species of bird found in the UK and Europe with RSPB Pocket Birds. Crystal clear photographs bring the birds on the page to life, and notes on distinguishing features will help you identify different species of bird in the field. Learn all about them from their calls and feeding behaviour, nesting habits and habitats, and differences in plumage. This brand new edition includes a web link where you can hear common bird songs and calls to make identification even easier. Maps showing regions where each species can be found at what time of year will help you find the birds you are most interested in. 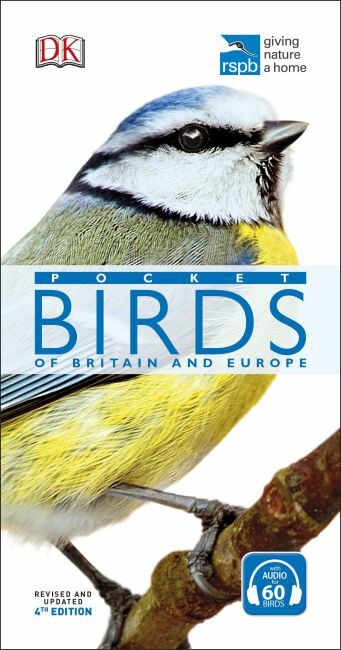 This handy book is perfectly portable, making RSPB Pocket Birds the perfect companion for taking out in the field.